Let this set of two Burnt Orange Metallic tapered glass table lamps add color to your home. 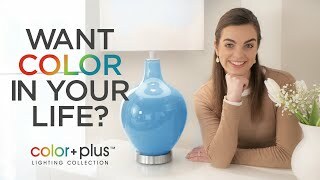 Bring fresh, designer color to your home decor with this set of two hand-crafted glass table lamps from the Color + Plus™ lighting collection. The stylish pair is made-to-order by experienced artisans in our California workshops, featuring a beautiful Burnt Orange Metallic color with small metal flakes that sparkle luxuriously - like a new car in the sunlight! Each lamp is completed by a plain white tapered shade and brushed nickel finish accents. Lamp base U.S. Patent # 8,899,798. Designer Burnt Orange Metallic color. Brushed nickel finish accents. Plain white tapered drum shade. I have admired these for months. We are having medium grey wood floors installed this month. These are going to look amazing! They are replacing 2 lamps I bought, but my husband hates. But he loves these new lamps too! 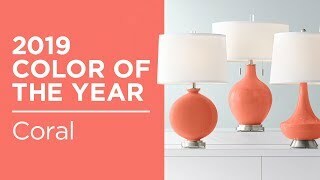 These lamps are even more beautiful than on the website, so glad I purchased them!